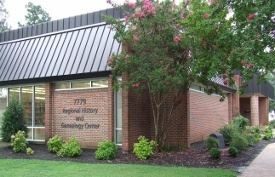 The Germantown Regional History and Genealogy Center (GRHGC) is the special collections division of the Germantown Community Library. It serves as a repository and research center for genealogical and historic materials, Southern culture and the Germantown History Collection. The GRHGC was made possible in large part by generous funding and in-kind donations from the Germantown Civic Club and the Tennessee Genealogical Society. Books and History articles and more. Members: Please call (901)757-7323 or (901)757-8480 for assistance when connecting remotely for HeritageQuest. How do you search the Regional History and Genealogy Center Catalog? If searching for a state, try entering the state 2-letter abbreviation, then try entering the state name spelled out on a separate search. When searching for a family surname, do not enter the word “family” after the surname. FamilySearch announced a new service to be provided by certified affiliate libraries for researchers. Up to the present time, most records with access restrictions could be viewed only at a Family History Center (usually located in an LDS Church building) or at the Family History Library in Salt Lake City. The access restrictions are due to data privacy or due to contractual agreements with custodians of the original records. FamilySearch is working hard to ease these restrictions. GRHGC and other affiliate libraries now have access to nearly all of the restricted image collections for researchers to view. There will still be restrictions on a small number of records until those restrictions expire. We welcome donations and we love our volunteers. Volunteers are a key to making the Germantown Regional History and Genealogy Center a success. They shelve and label books, assist the librarian with customers and special projects, and help customers with genealogy activities. When you volunteer at the Germantown Regional History and Genealogy Center, you are volunteering with the City of Germantown. The library is closed on the following holidays: New Year's Day, Martin Luther King, Jr. Day, President's Day, Good Friday, Easter, Memorial Day, Fourth of July, Labor Day, Thanksgiving Day and the following Friday, Christmas Eve and Christmas Day. The library is also closed during the Germantown Festival, Saturday, September 7 and Sunday, September 8. The library may be closed on other days. Those closings will be posted on the home page.